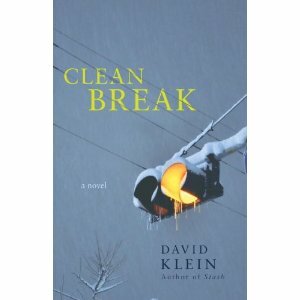 Author David Klein’s second thriller Clean Break was published two weeks ago. And this time, he’s doing things a little differently. —Sarah P.
When my first novel, Stash, launched in 2010, I didn’t have an author page on Facebook, I didn’t have a Twitter account, and I didn’t have an independent publicist working on my behalf. What I did have was a sympathetic sister who helped me reach out to book blogs, my own tenacity to pitch my novel to book groups, and the willingness to visit bookstores to read from my novel and sign books. Although I would have preferred my publisher to allocate a fat budget to promote my novel, that didn’t happen. They did make an effort to launch the novel successfully, but once the training wheels came off, the book had to find another way to glide. Which meant a lot of pushing on my part. The marketing and selling of a novel is no different than any other product. You have to find your target audience, demonstrate the value of your product, convince potential customers to buy. It doesn’t seem fair to authors that after they’ve done all the writing, they still have to promote the book. But markets aren’t fair; they’re competitive—and constantly changing. In terms of attention from my publisher, it’s pretty much the same with my second novel, Clean Break, which launched June 5. But other things are different. This time I do have an author page on Facebook, a Twitter account, and a professional publicist to help promote the novel. I kind of went kicking and screaming into social media. I already spend hours a day in front of my computer. And I’m not a very social person. I don’t have a lot of interesting and poignant news and notes and comments to share with the world. The most fascinating story I have to tell is between the covers of my books. But I was told, and told again—by my agent, publisher, publicist—that I must develop a social media platform. So I’ve done it. I’ve Facebooked and Tweeted any and every tidbit that could be remotely relevant or interesting to potential readers. And here’s a confession: it hasn’t been an awful experience. I’ve gotten good feedback. I’ve found new fans. I’m interested in what others are saying about my novels. The other new strategy I’ve deployed to launch Clean Break is to work with an independent publicist. I’ve always believed in hiring experts to do what I can’t do, yet must get done. It takes time and toil to reach out to and follow-up with book reviewers, blogs, and readers. I simply don’t have the time or skill for it. But my publicist does, and she’s working with my publisher to help Clean Break get attention. What hasn’t changed for me is the writing. From one novel to the next, I still have to show up, sit in my chair, and work. I have to balance writing with other responsibilities in my life. I have to battle lags in confidence when the writing bogs down. But I continue to write, day after day, because without the writing, there isn’t any launching. 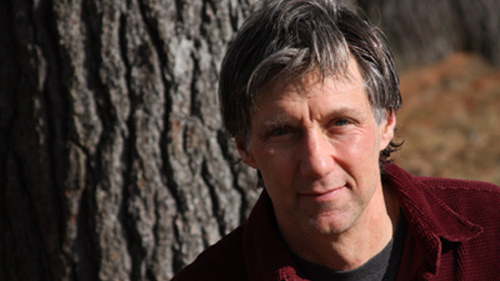 You can visit David Klein at his website, or check up on his Twitter efforts. Thanks, David!